Terry Tung-Yep was trained as a Life-Line Counsellor in 1970 (after completing his Pharmacy degree). After becoming a Hypnotherapist in 1971, he still found it necessary to further hone his counselling skills whilst returning to university in 1978. A professional counsellor can help you understand where you're coming from, where you're at, and with teamwork, where you're going. A holistic counsellor can help you segregate how your issues need to be addressed at a i) spiritual level, ii) genetic/biochemical level, iii) mind level and/or iv) body level. And between practitioner and client, we are able to discriminate which level can and needs to be worked on first and so on. No-one knows how big a loss a person could ever endure, unless you've experienced it yourself. In 1972, Terry submitted to a university friend's vehement pleas to help him help his girlfriend's probable pregnancy. Terry's subsequent guilt became a yoke around his neck - but he came through it. In 1997, Terry was a victim of an armed hold-up - but he came through it. In 2004, Terry (and his wife Maria) suffered the loss of their son Mark - he came through it. 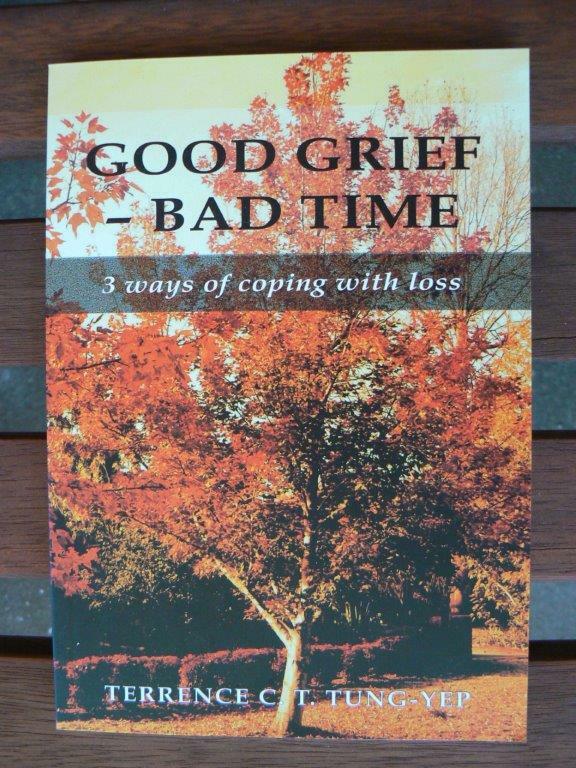 He wrote a book called "GOOD GRIEF - BAD TIME" '3 Ways Of Coping With Loss'. It was published in 2005 and is currently distributed by the registered charity www.bushchurchaid.com.au and you can buy it for $18 if it's relevant to you. Motto:- "There is nothing that Terry would like better than to help you help yourself" by the grace of God!